There are continuous projects that aim to make 3D printing technology affordable and improve the quality, speed, and features in 3D printers to make it more desirable and reliable than before. One of the recent projects that has been pledged more than $1,221,000 million out of the $50,000 goal is the Trinus 3D printer. The new printer is a professional desktop 3D printer that can be easily transformed into a laster engraver giving it an extra advantage especially for overall price of the printer which range from $299 to $549 according to the package and features available in each category. The least price is for the 3D printer alone, while the Trinus 2 in 1 the includes the laser engraver head can be purchased with $379. 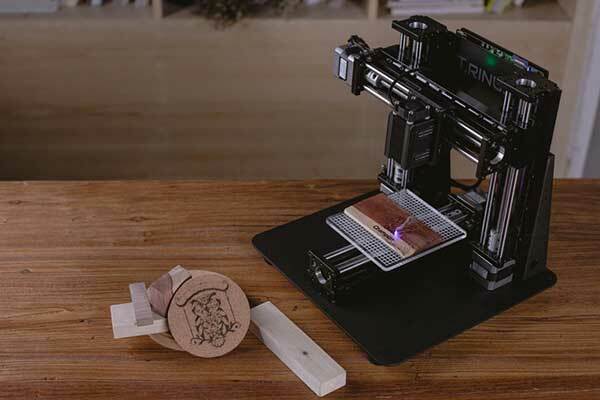 Trinus 3D printer is designed by Bojan Smiljanic to be a fast, high-resolution 3D printer and laser engraver for heavy duty work by product designers. 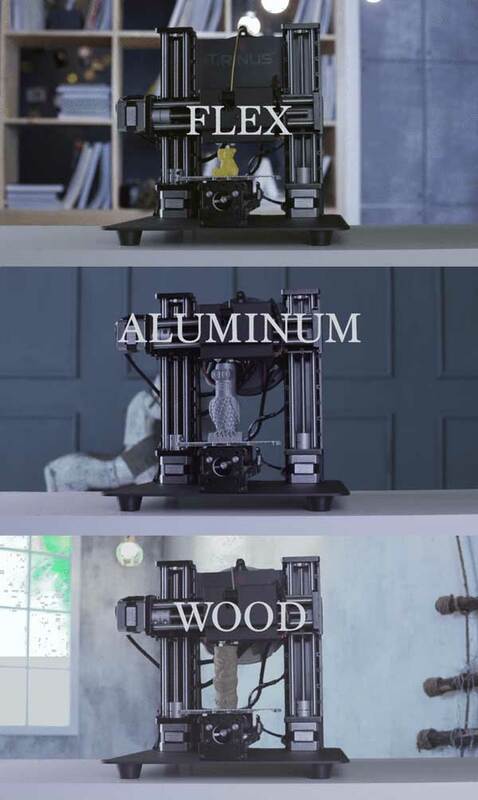 The whole 3D printer is made out of aluminum and steel which is gives the printer another advantage for durability, which makes it the cheapest comparing with the rest of all-metal 3D printers. Trinus is a high-resolution printer as it can print with the thickness of 50 micron and with the speed of 70mm per second. The printing size is 120mm X 125mm X 125mm, which is another advantage comparing with similar 3D printers such s the Printboy Play with is only 100mm X 100mm X 130mm. The printer head moving speed is up to 150mm per second. The new Trinus 3D printer is easily to assembly as it consists of only 11 elements. This simplicity was an important factor to reduce its price range. It can also support wide range of filament as a 3D printing material such as PLA and polycarbonate as the new Kickstarter 3D printer has set a partnership with Polymaker to support this variety of 3D printing materials. Also, it will provide filaments from other manufactures such as Flextronics and Panowin. Trinus can also support printing with ABS, PC, flex, wood, and aluminum. The software included in the Trinus 3D printer is Pango Software which allows the printer to work with any 3D applications on both Windows or Mac as the printer supports both operating systems. Additionally, the new Kickstarter 3D printer comes with another head that can replace the 3D printing head in 60 seconds to convert it from a printer to a a laser engraver. Trinus 3D printer with different printing materials. The laser engraver head power is 500mW and wavelength is 405nm with Bluish violet colors. The light sport is in the point mode and engraving work surface is 120mm X 125mm. The head can gives the consumer the ability to use the printer in engraving on different materials such as wood and others. As mentioned, the 3D printer comes with different price ranges based on the 3D printer adds-on. For examples, you can purchase the 3D printer with aluminum enclosure to protect the printer or protect your children if you are using it at home. The package of the 3D printer and enclosure is $379, and with the laser engraver head, the price is $459. The add-ons also includes a heated bed platform, 1 Kg of PolyPlus filament, and LCD display to check the printing status. Each adds-on increase the printer price range. The new Trinus 3D printer provides an new model of desktop 3D printers that aims to add a market value by providing a high resolution, fast, and all-metal 3D printer. Also, it includes a laser engraver with add another value for its owners. The Kickstarter pledge that has been accomplished on April 2016 is supposed to be shipped for the whole world by July or August 2016.